The setting for this case is the family dinner table, where a heated discussion about genetically altered foods is taking place. Marsha Cumberland’s brother-in-law has joined the family for dinner. Ed is an industry official whose job it is to decide whether or not new products need pre-market approval by the FDA. He has just returned from a conference on transgenic foods. When it turns out that some of the food on the dinner table is genetically modified, a debate ensues with different members of the family at different ends of the spectrum. 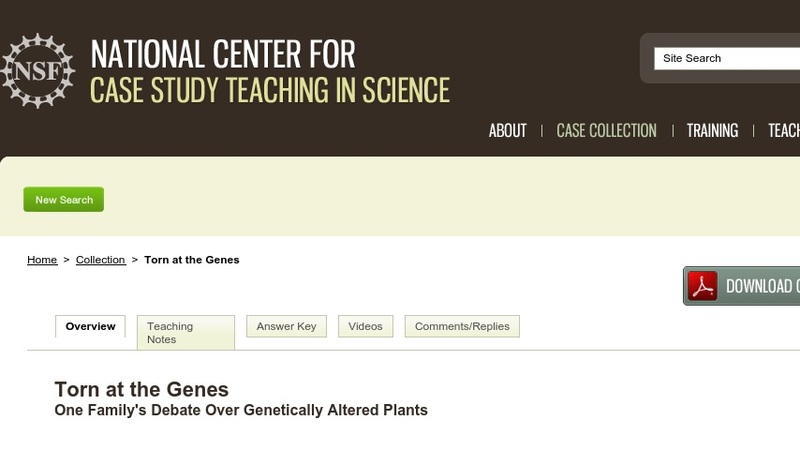 Written for an introductory biology course, the case considers the scientific and ethical issues of genetically altered plants.